How senior marketing leaders build, develop, and retain top marketing talent. Download our white paper – "Building a Marketing Dream Team"
How do you build the right marketing function? What are the best ways to assess talent? 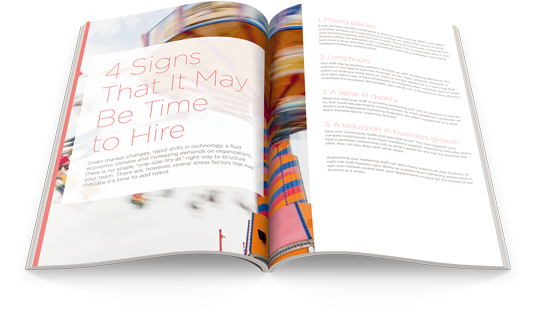 What are the signs it may be time to hire? Is your business ready to grow their marketing department? What factors should impact your management techniques? Should one management style fit all? How will you benefit from the white paper? « Go to homepage © 2018 Paladin Staffing. Select a branch Austin Chicago Dallas Denver Edison Long Island Los Angeles Milwaukee Nashville New York Phoenix Seattle Washington, D.C.